For school this semester, I am reading Rodney Stark’s The Rise of Christianity: How the Obscure, Marginal Jesus Movement Became the Dominant Religious Force in the Western World in a Few Centuries (HarperOne, 1996). I am only a few pages in, but already am finding it quite interesting. One thing that struck me is that, according to Stark, there is not a shred of archaeological evidence for Christianity before the year AD 180. That means that Christianity existed for about 150 years before they left a trace in the archaeological record. Stark, in reconstructing the growth of the Christian Church, suggests that there were about 7,535 Christians at the turn of the first century. Stark then suggests that this is due to the small number of Christians. This raises a number of interesting questions about archaeology and what it can and cannot tell us about Scriptural history. Notice that no one assumes that Christians didn’t exist until AD 180 just because there is no trace of them in the archaeological record. As the adage goes – the absence of evidence is not evidence of absence. At 7, 535 Christians were too small in number to show up archaeologically. If seven thousand is too small to find in the archaeological record, then what of, say, 45 persons who show up on a boat? Of course, Stark’s comments are somewhat dependent on the size of the host population, that would have been smaller in the America’s (ca. 600 BC) than in the Roman Empire, but we are still talking about a very small group of Old World migrants. Is it really reasonable to expect such a small company to leave a distinguishable trace? Of course, Book of Mormon populations did not stay tiny forever. But the demographics of the Book of Mormon come with its own set of questions. Are all the entire populations reported strictly Old World stock, or have they assimilated New World peoples? And if the latter, then how much of the population maintained any kind of connections (that might manifested in material cultural left behind) to the Old World? It is possible that the only ones who maintained any kind of cultural linkage to the Old World were the record keepers who continued to write in an Egyptian/Hebrew script. In regard to Book of Mormon demographics, professional demographer James E. Smith has provided numbers for various time periods in the Book of Mormon. Smith estimates that within a couple hundred years, the Nephites numbered between 1,000-2,000 – still well below the 7,535 Christians that go undetected in the Old World. Again, while host populations are different for the two groups, there are also other complications, like identifying exactly where to look for Nephite remains, and the fact that we are going some 600 years further back in time, in a region (and time period) that has received less professional attention from archaeologist than the Mediterranean and Ancient Near East. Stark says that Christians would have hit a population of 100,000 by the time they finally start to show up in the archaeological record. At what point do the Nephites pass such a threshold? It is impossible to tell. Smith estimates that perhaps 300,000 people were living in Zarahemla around 87 BC, with 100,000 being Nephites (as opposed to “Mulekites”). Smith gets to these numbers by using the military casualties as a basis of population estimation, a number that Smith notes is possible, demographically speaking, but yet he urges caution in accepting it. Something that must be kept in mind is that ancient population numbers tend to be inflated (Stark, in fact, talks about this on p. 5), and this holds true for military numbers in antiquity. So Nephite numbers are probably still much smaller than this, but even if we assume that Smith’s estimates are accurate, this would indicate that Book of Mormon populations didn’t reach the size at which we might expect to find archaeological remains until several hundred years after the founding groups had arrived in America. By that time, what would their archaeological “trace” look like? How much of their material culture would manifest Old World roots? How do we go about distinguishing a Nephite pottery shard from a non-Nephite one? I wholly realize that all of the above is quite rudimentary, and while I acknowledged the difference in size of host populations, I did little to try and accommodate that in my analysis. There is a reason I framed most of this as questions rather than answers. Regardless of what the exact answers to these questions are, they are important questions that need to be asked before anyone can seriously start to think about what archaeology can and cannot tell us about the Book of Mormon. 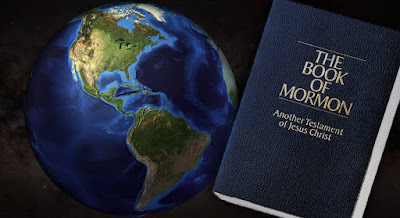 The notion that the Book of Mormon is obviously false (or, conversely, obviously true, as some members have naïvely claimed) on the basis of archaeology needs to be abandoned. Before any assessment of the “evidence” can be made, there first needs to be some understanding of what kind of relationship is to be expected between the text and archaeology. In short, one must do some serious thinking about a number of interrelated issues – and the kinds of questions I’ve posed above are only the beginning – before they can seriously opine on what the “evidence” actually indicates. Interesting observations, and a good reminder on the difficulty of tracing small population groups. And, I am genuinely honored to not only find that you are actually reading my blog, but that you are finding it interesting. You do great work, for which my little blog pales in comparison. Thanks for all you do. Also, if you liked this, you might want to check out the follow-up posted today, drawing Sorenson's new book.